Harnessing the Web has never been easier. Design Direct offers you revolutionary Web Hosting Solutions which are powerful, reliable, secure and surprisingly affordable. 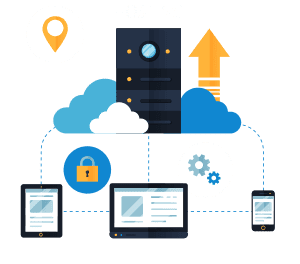 We are a professional and reliable Web Hosting provider in London who provides unlimited bandwidth, backed by professional 24/7 support. Design Direct can provide you with a complete Web Hosting Solution, whether you're a small business owner or an individual who wants to have a fully functional website within a small budget. We offer outstanding Support, Speed and Flexibility throughout our service. We bring you awesome Hosting Features delivering unparalleled Website uptime. Find all essential tools in one place and manage all features in minimal clicks. Easily manage and create everything from email addresses to setting up your websites. We provide you with unmetered disk space to store your website files. We offer you a substantial amount of bandwidth limiting your storage constraints. We’ll manage your DNS records and transfer the services from one server to another. We take regular daily, weekly & monthly backups to ensure your data is protected. We actively monitor your website for any malware, phishing, or general hacking. Make your projects ultra-quick with our in-built cache manager.